Alan Partridge (Steve Coogan) is having trouble coming up with a title for his impending siege movie, which finds terrorists taking over his Norfolk radio station. The first teaser trailer for The Alan Partridge Movie finds Alan and his crack team of producers desperately trying to find just the right thing to call it. 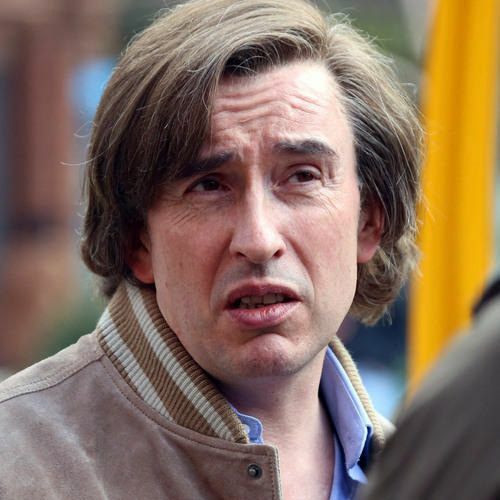 Will The Alan Partridge Movie be titled Gun Bird? Hectic Danger Day? Chap of Steele? Or Colossal Velocity? Nope. They go with Alpha Papa...But will it sell? Prepare for a lot of action, tension, danger, heavy kissing, and guns! In UK theaters on August 7th (an American release date has yet to be announced).